The commander men's watch is a smart and sophisticated timepiece. A 41mm stainless steel case boasts a classic black dial with a stylish silver linear pattern. Rose gold tone hour markers consist of arabic numerals and geometric shapes, and a slender date display sits at the 6-o-clock position. 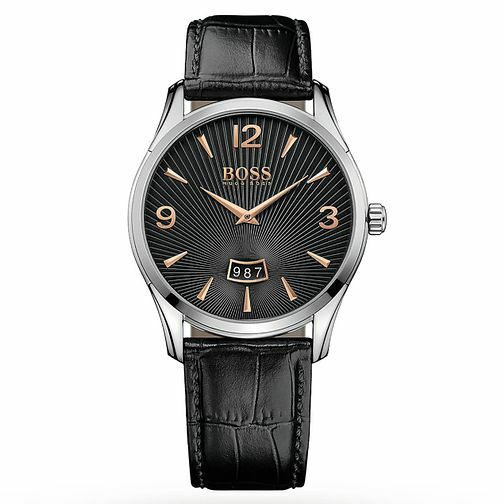 A black leather strap completes this smart Hugo Boss timepiece, ideal for the modern man's everyday wear.